Born: June 19, 1845 in Sandwich Ma. 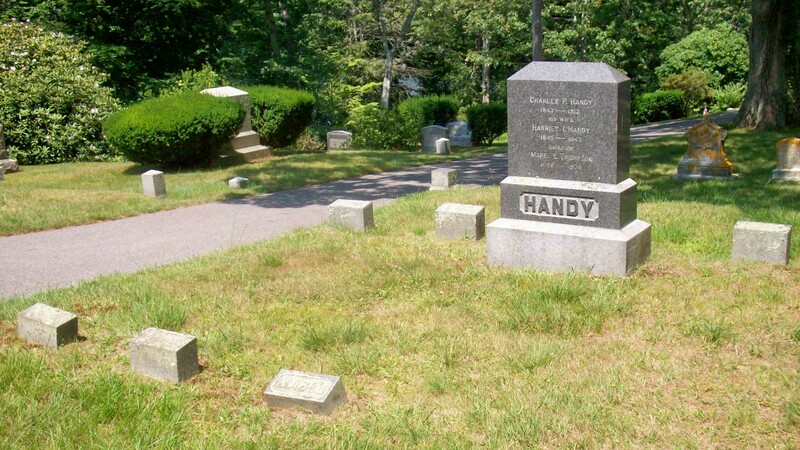 Died: 1943 in Bridgewater Ma. 1. 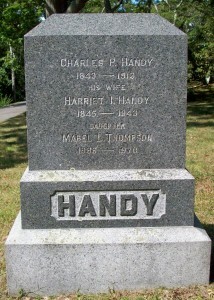 Frederick Lewis Handy; (May 6, 1870 – September 24, 1957); Married (1) Emma Cleveland Gifford ( 1874 – ?) (Jeptha A. Gifford & Nancy J. (Gifford)) in Westport Ma. 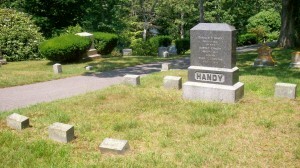 on December 21, 1893 (they divorced); He married (2) Augusta D. (–) (1869 – 1946); Frederick & Augusta are buried in Pine Grove Cemetery in Lynn Ma. ; He was a Supervisor in a nail factory in Bridgewater Ma..
2. Grace Isabel Handy Freeman Morris; (February 7, 1874 – August 11, 1956); Married (1) Elias Grimes Freeman (1866 – 1909) (James Augustus Freeman & Matilda Grimes) in Bridgewater Ma. on December 4, 1898; Grace married (2) David Evans Morris (1875 – 1948) (Maurice Morris & Elizabeth Evans) in Bridgewater Ma. on January 24, 1914; David married (1) Estelle/Stella Carlton Beals (1885 – ?) (George G. Beals & Harriet J. French) in Whitman Ma. on June 1, 1901; David & Estelle/Stella divorced; Grace, Elias & David are buried together in Cataumet Cemetery. 3. 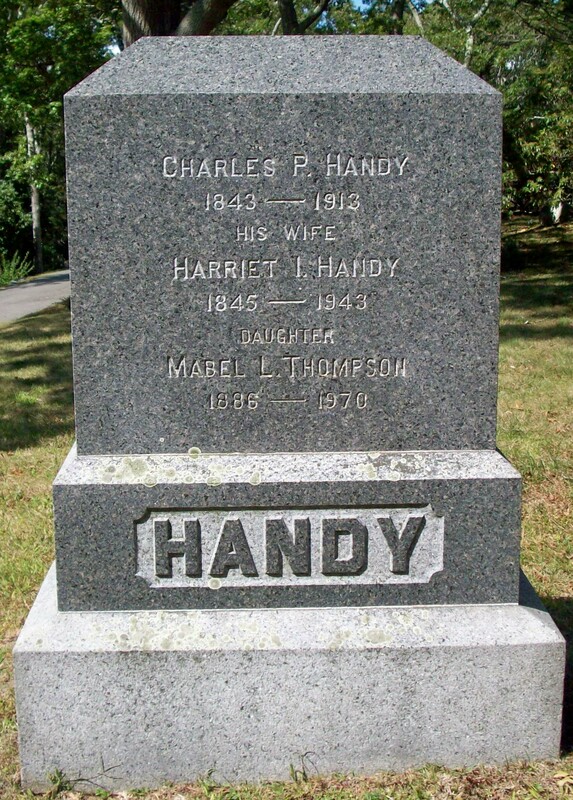 Mabel Louise Handy Thompson; (June 29, 1886 – September 15, 1970); Married (–) Thompson Aft.1940; Mabel was born in Bridgewater Ma; She was a School Teacher & is buried with her parents in Cataumet Cemetery.